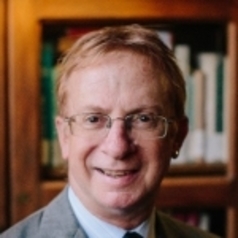 Donald E. Heller is Provost and Vice President of Academic Affairs and a professor of education at the University of San Francisco. He is responsible for the university’s five schools, libraries, academic affairs, student life, enrollment management, online programs, international relations, and diversity and community outreach for the university’s 10,800 students,1,200 faculty, and 1,000 staff. His teaching and research is in the areas of educational economics, public policy, and finance, with a primary focus on issues of college access, choice, and success for low-income and minority students. He has consulted on higher education policy issues with university systems and policymaking organizations in California, Colorado, Florida, Kansas, Massachusetts, Michigan, New Hampshire, Tennessee, Washington, Washington DC, and West Virginia, and has testified in front of Congressional committees, state legislatures, and in federal court cases as an expert witness. Prior to his appointment in January 2016, he was Dean of the College of Education at Michigan State University. Earlier appointments included Director of the Center for the Study of Higher Education and professor of education and senior scientist at The Pennsylvania State University, and assistant professor of Education at the University of Michigan. Before his academic career, he spent a decade as an information technology manager at the Massachusetts Institute of Technology. Harvard Graduate School of Education, Ed.D. Harvard Graduate School of Education, Ed.M.